Here is another chapter, as promised. 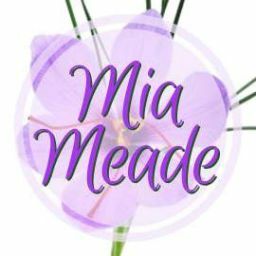 I&apos;m spending my Friday night on Wattpad. Anyone else here tonight, or do you guys have fun stuff to do like parties to go to? OMG if you go to parties, can you tell me all the details? I want to write about a party, but I can&apos;t think of anything good to write, so poor Sofie is probably never, ever going to go to a party, and it&apos;s all your fault! Not that Wattpad isn&apos;t fun! I&apos;d actually much rather stay home and get lost in a good book than go anywhere. I&apos;m going to my friend&apos;s birthday tomorrow, but other than that my plan this weekend is to do a lot of writing, and a little reading! I&apos;m sure you guys are way more interesting! What are your weekend plans? "Are you coming?" Logan asks as he heads towards the pack house and I hurry to catch up. The soles of my feet sting from all the rocks and branches that litter the forest floor, but the cuts have already started to heal. I&apos;ve also finally managed to get my wolf under control, which is a huge relief. I can&apos;t believe I was that close to losing control and mating with Logan like some wild animal in heat. Not when things were finally going so well. I still can&apos;t believe Logan told me he liked me, and we were holding hands earlier, like on a first date. Making out with Logan was one thing—he probably hooks up with tons of girls and I doubt it means anything. Holding hands, that just feels different. Like maybe we&apos;re a couple. "Want to grab lunch?" I suddenly blurt out and then wish I could take the words back. Is Logan going to think I&apos;m asking him out? Am I asking him out? What if he thinks I&apos;m hitting on him? And what if he says no? I blush and quickly look away. "Sure." I hear the smile in Logan&apos;s voice and feel a wave of relief. "Cool," I reply as nonchalantly, even as I start panicking on the inside. Is this a date? Or are we just hanging out? Does it mean something? I really wish I had a friend I could text right now, who could tell me what to do. Actually, I really wish I had a phone, so I could talk to Anna and Jen. The three of us used to talk about boys all the time. We&apos;d imagining what all our firsts would be like: First love. First kiss. First date. First time holding hands. If I had my phone, I&apos;d tell them about what happened in the parking lot. Most of it anyway. I&apos;d have to skip the part with the principal. And I guess I couldn&apos;t really explain Logan&apos;s anger issues, or the way my wolf took over and tried to turn me into a wild animal in heat. I&apos;d never minded that Anna and Jen were human before, but suddenly I long for a wolf friend to talk to about Logan. Someone I could tell everything. Someone who could help me figure it all out. Did Logan mean it when he said he liked me? Is he just playing me? Or is there really something between us? Should I stick around? Or should I stop letting a boy distract me and focus on running away? I think back nostalgically to yesterday&apos;s run—the part before Logan&apos;s wolf took over and he wanted to rip my throat out. I remember our time in the bathroom next and quickly shove that memory away as warmth floods my cheeks. My wolf does not need any extra encouragement. I skip over our time in the closet this morning for the same reason—at least the first half, before Logan&apos;s wolf tried to take over and make him hurt me. I don&apos;t think I can be upset with him about that, not anymore. I think I finally understand why he keeps getting so angry and so close to attacking me. I mean, look what happened when I let my own wolf out. One second I was fine, and then I just lost control. Suddenly, my wolf was trying to take over my body and make me do something I really wasn&apos;t ready for. I&apos;ve never even had a kiss with a boy before. There&apos;s no way I&apos;d want to throw myself at one and get him naked in a park playground in broad daylight. That&apos;s just so not me, just like hurting people isn&apos;t Logan. His wolf makes him do things he doesn&apos;t want to, just like mine does. His wolf just has slightly different urges than mine. His wants to hurt, while mine apparently wants to get laid. I stifle a groan, glad that Logan is walking ahead of me and can&apos;t see my cheeks flame. Now that I have my wolf under control, I let myself relax, but my mind keeps worrying over lunch. Is it a date? What if I do something stupid? Or worse, what if we don&apos;t have anything to talk about? I&apos;m still worrying about it when we reach the front steps and Logan suddenly tenses. "Wait here," he whispers, and tiptoes toward the front door. "What are you—" I try to ask, but Logan stops me. "Shhh," he whispers, moving his index finger to his lips. Logan pauses for a second, then gently touches the doorknob and slowly twists it, opening the door. He peeks inside and then gestures for me to follow. His hunched posture, coupled with the tension in his body and his odd behaviour, screams danger. People don&apos;t sneak up to their own houses. They don&apos;t shush you or try to make as little noise as possible, not unless it&apos;s the middle of the night and they&apos;re sneaking in past curfew. Obviously not something I&apos;ve ever done, but I have read enough books to know. Anyway, since it&apos;s broad daylight, and his car is parked out front, it&apos;s pretty unlikely that he&apos;s trying to sneak in. The more obvious explanation is that something is seriously wrong. I free and try to stay as quit as possible, while I let Logan take the lead. If we&apos;re under a rogue attack, the element of surprise will work in our favour. I know that from experience. Dad and I have been attacked by enough rogues for me to know they&apos;re a real threat. Right now is the perfect time for an attack, while most of the wolves are at work or at school. There could be dozens of rogues in the house, stealing food and slaughtering everyone in sight. If there&apos;s anything I know, it&apos;s Rogues. Because we&apos;re Lone wolves, Dad and I have always been easy targets. Sometimes, Rogues would attack alone, but usually they worked in pairs or in groups of three. They were Rogue families, or Rogues allied with other Rogues, but they were usually weak and half-starved. That&apos;s the only reason Dad and I managed to hold them off. For them to attack a pack house, they must be considerably stronger and in a much larger group. How many would there be? Half a dozen? More? And would they be desperate—weak and starving and barely able to fight—or would they be at their best and ready to fight? Would Logan and I stand live to see another day? I take a sniff, but I can&apos;t smell anything unusual. I look at the house, but I don&apos;t see any sign of them. Of course, I&apos;m not as familiar with this pack house as Logan is. I probably wouldn&apos;t notice a suspicious scent or some stone out of place. The place reeks of dozens of wolves, but I&apos;d have no way of knowing if they&apos;re Rogues or if they live here. Does Logan know how many Rogues there are? And what does he want us to do? I really wish I could link and ask him. Maybe talking to my wolf somehow activated the link. Or maybe the stress and pressure let me link in an emergency. I get excited, despite the fear coursing through me. I try throwing thoughts at Logan, asking him what&apos;s happening in my head the way I did when I talked to my wolf. I feel so confident that for a few seconds I think it&apos;s really going to work this time. Only nothing happens. Again. Instead, I&apos;m left wondering—afraid about how outnumbered we might be. I don&apos;t know if Logan wants to investigate or attack. I don&apos;t know if he thinks we stand a chance, or he wants to retreat and get help. Whatever he decides, I plan to have his back, even being the weak rogue that I am. This might be my last few minutes on Earth, and I&apos;m glad to have at least met Logan and spent time with him. It would have really sucked dying before I even had my first kiss. What&apos;d you think of this chapter? Would you totally hate me if I did something evil in the next chapter? It&apos;s soooo tempting! By the way, I noticed my story is ranked #75 on Wattpad! Isn&apos;t that awesome? Any tips on what I can do to go up in rank? It would totally make my day if I got to #50. Think it&apos;s possible? I know there are so many really good writers on here, I probably really have to step up my game if I want to move that high up! 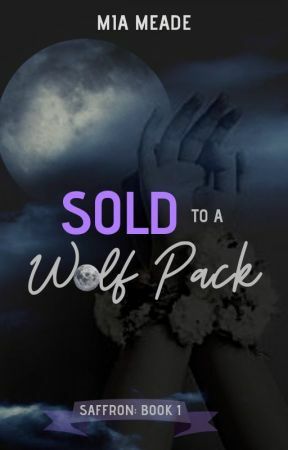 Oh, and don&apos;t forget to go back to my QUICK READER SURVEY and let me know which book I should write once I&apos;m done with Saffron&apos;s Sold to a Wolf Pack. Have a good weekend! I&apos;ll try to update again soon!